“PeKay’s Little Author” is an application to create your own storybook, and we hope this may help to enrich children’s time with their parents through the creation and sharing of original storybooks. This is very easy to use. Please enjoy making your story with PeKay the piglet and his friends. Thank you very much for the honorable award. It has been 17 years since I started making Pekkay, and nearly 10 years since I started my storytelling activities. I have continued to pursue my activities so that I could share children how exciting to read, and to also make you’re your own picture book. Unleashing children’s mind in the world of imagination will fulfill the hearts of children with joy. 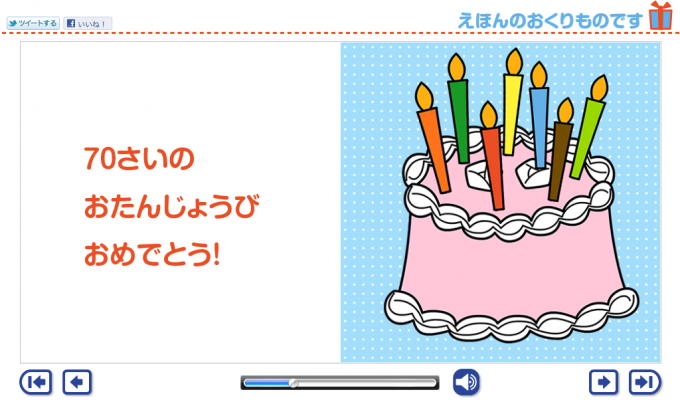 Presenting your own story with your voice recorded will certainly provide a joyful and proud experience for children. By being recognized by others, it will encourage children to cherish itself, and to be kind to another. “Creating” is exciting, and particularly, creative activities using words are a great pleasure rooted in people’s minds. And “Creating” includes various learning activities. I hope children will be able to spread its wings to an exciting future with its creativity. 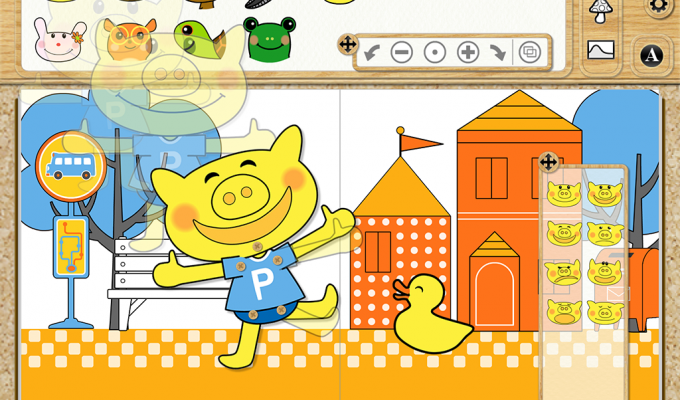 This is an app where children can make their original digital picture book (and also paper picture book). It is enticing that even for children have who never touched the app, they can intuitively create their own story by choosing its facial expression and poses, and combining the items. Moreover, it provides a great value as the story can be shared easily, and provide an environment for communication. This is an educational material that trigger creativity for children living in the 21th century, and I see a great potential to be widely used not just at homes but also in school education. 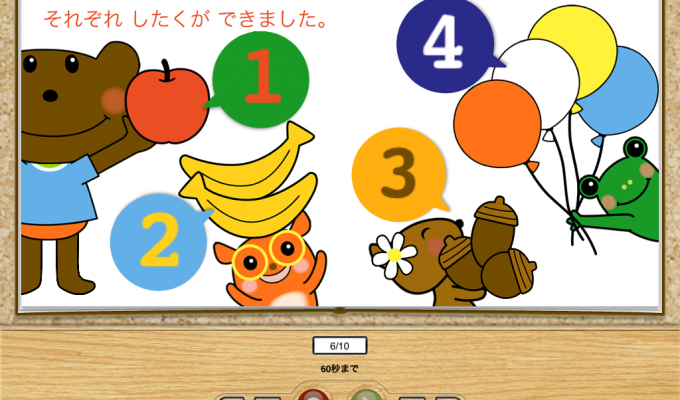 “PeKay’s Little Author for iPad” is a perfect tool for infants and early elementary school children who operate sensuously. Drag the icon to set the size and angle, and record your own voice. Create your own story and express. The app is simply structured without any useless functions. You can print out the digital picture book, create the analog picture books, and share it with family and friends. With the sophisticated original icon, this is an excellent teaching material that makes you realize the joy of creating from various angles.